We specialize in purchasing and selling raw land at unbelievable prices allowing ordinary people to obtain property for person use, recreation or for creating wealth. Reasons to buy your land from us. Owning real estate is an important part of mastering your destiny. There’s a high degree of psychological satisfaction that comes from owning property – specifically land. Owning a piece of vacant land opens up your mind to the windows of possibility. Simply put, being a landowner is the first step to creating a place for yourself in the world. Your land is your vehicle…your imagination…the fuel to makes your dreams come true. TruDream Properties, LLC specializes in purchasing and selling raw land at unbelievable prices, allowing ordinary people to obtain property to live on, for recreational use and/or for creating wealth. 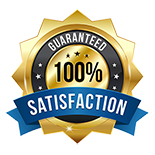 100% Satisfaction Guarantee – If you’re not satisfied with your land for any reason, we will exchange your parcel for another one within 365 days – no question asked! Money already paid, less a Swap Processing Fee, will simply be applied to the new parcel price. If there is a balance owed, you simply pay the difference or begin making payments on your new parcel, just like you were before (if utilizing our seller financing)! Read more. 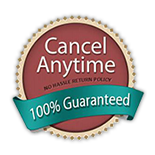 Cancel Anytime with No Penalty Guarantee – If you decide to utilize our seller financing and you are unable to continue making payments for any reason, let us know and you won’t owe us anything further. No balance owed, no debt, no collection, no lawsuits – no hard feelings! And you can then rest easy knowing you can apply all the money you paid to another parcel within 365 days, allowing you ample time to get back on your feet! Read more about our 100% Satisfaction Guarantee. Hassle-Free Guarantee – We handle all the paperwork to make your transaction as easy and painless as possible. Affordable Payment Options – Pay on Terms or by Cash… Your choice! Bi-Lingual American Phone Support – We provide fast and friendly customer support via email, text and phone, with people who live in America and speak fluent English. We also speak Spanish – Hablamos Espanol. Better Business Bureau – TruDream Properties has an A+ Rating with the Better Business Bureau. We have a reputation to uphold, a promise of quality to our customers. Take it From Our Customers – Since 2015 we continue to post a growing list of real world testimonials from our happy clients who give us permission to use their actual first and last names, city and state of residence – no funny initials making you wonder if they are real like some companies use. No Brokers, No Commissions – One of the benefits of working with TruDream Properties, LLC is that you’re dealing with the actual owner of the property, not some developer or broker. No delays in getting the answers you need. No commissions also means lower prices for you! Once you are ready to proceed with purchase, click on "BUY NOW". There are two types of sales: cash sale and owner financed properties.